We love to attend food and wine events, and there are plenty to find in wine country (and sometimes outside of wine country). Our focus here is on events that involve multiple wineries and multiple food purveyors. 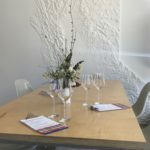 Sometimes these are regional events, where you purchase a ticket that provides you exclusive access into the wineries that are participating (and providing food at the same time). Sometimes these are centralized events, where you go to one location, and a many different wineries and/or food purveyors have joined together under a common theme to share their products with you. Some events are one day only, some are weekend events, and some last for several days.